My random thoughts on faith, life and the world. One of the privileges of my job is being able to attend conferences which have some amazing keynote speakers. I was at a conference in Nelson last week where Tā Mark Solomon, the chair of Ngāi Tahu, addressed the delegates about the ambitions of his Iwi – probably one of the most successful and pragmatic Iwi in New Zealand (Ngāi Tahu’s rohe covers most of the South Island, minus the Nelson/Marlborough area). For us and our children after us. 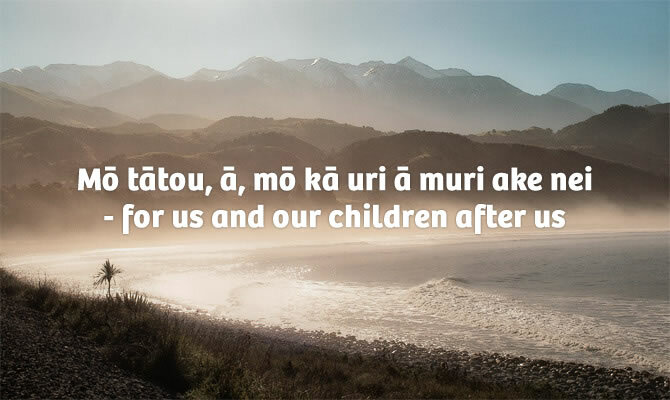 He emphasised that this proverb sits at the heart of all that Ngai Tahu do. This got me thinking about the importance of having a vision and values and ensuring these are instilled in your family, team or organisation. When done well, values give us direction, they give us purpose. The key is though, that it’s not just about developing them, filing them away and forgetting them (as is so often the case). Tā Mark emphasised that they need to be at the heart of everything you do. You need to continually reference back to them and assess what you do against them. Micah 6:8: No, O people, the Lord has told you what is good, and this is what he requires of you: to do what is right, to love mercy, and to walk humbly with your God. Acts 2:42: All the believers devoted themselves to the apostles’ teaching, and to fellowship, and to sharing in meals (including the Lord’s Supper), and to prayer. Revelation 2:19: I know your deeds, your love and faith, your service and perseverance, and that you are now doing more than you did at first. This topic has also been present in my mind as we look to call a new senior pastor for our church. It is so crucial to have a church vision and values that is continually reinforced and at the heart of everything we do. It’s also so important to have buy-in and agreement from the congregation that this is what we are about. Having been back at our church for about nine months now, from my perspective the current vision, values and mission statement appears to have been a tick box exercise (or at least is now, probably ten years after it was developed), as I haven’t heard it mentioned once during a service or in any communications. This isn’t saying that the vision itself is wrong, just that it doesn’t appear to be at the heart of decision-making or what we do as a church. Note: I originally wrote this post two weeks ago, however have taken a while to upload it due to family illness. The photograph of the young three year old Syrian refugee lying face down on a Turkish beach broke my heart today – I experienced a soul wrenching sadness that I haven’t felt for a long time, probably since the shock I experienced when my job was made redundant in 2010. I think having a son around the same age made it all the more real for me. This was a young boy who wore the same clothes and the same cheeky, adorable grin. The only difference between his family and ours being that we were born into a country that isn’t ravaged by war and persecution. What a terrible situation you must be faced with to be desperate enough to attempt crossing the open sea with your family in a tiny inflatable boat – I can’t even begin to imagine. Seeing the images and thinking about the injustice of the situation brought tears to my eyes – so much so that I had to get out of the office to find space to think and pray about it. Sitting in my car at lunch I opened the Bible we keep on the glovebox and turned to the psalms seeking some solace, with the nagging question of ‘why?’ stuck in my head. I came across Psalm 37:17-18, which in the NLT translation talks of the Lord taking care of the innocents. For the remainder of the day I have had Matt Redman’s 10,000 Reasons stuck in my head. It reminds me that no matter the situation, we still have a Lord and saviour that loves us. 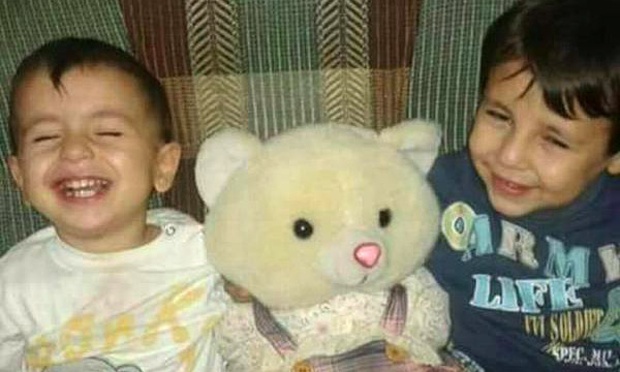 I still have many questions, including the thorny one about whether Aylan is now at rest with Jesus (in my heart I hope this is the case – reminds me of a similar question Rachel Held Evans posed in one of her books: “If salvation is available only to Christians, then the gospel isn’t good news at all. For most of the human race, it is terrible news.”). I struggle to reconcile a loving God who would see innocents die and not be with him in heaven – although where does the line get drawn (10? 14? ), or is there a line to be drawn at all? I also wonder what we can do in New Zealand. There is a lot of heat on John Key to increase the number of refugees we accept from 750, which is a great idea. But this must come with a ground swell of volunteers to look after those who arrive in a country totally foreign to where they’ve come from. What a great opportunity for the church. Kim mentioned the possibility of taking an ESOL class to be able to then work with refugees and new migrants when they arrive in the country. What a great idea – this is something she’d be incredibly gifted at. Churches around the country are responding to the need to step up and support incoming refugees. I was heartened to see an email from Craig Vernall, our Baptist National Leader, calling for expressions of interest from churches willing to sponsor and support a refugee family to live in your community – surely this is something that any church would be willing to do – a no brainer? !